Have you ever wondered what starts people on their investment journey? For many, it’s the circumstance surrounding a ‘life’ event, such as a divorce, death of a partner or ending of a relationship. For others it may be turning a significant birthday or just realizing that the retirement you had dreamed of just wasn’t going to eventuate because of insufficient superannuation funds. These life changing circumstances can really hit hard, particularly if you are a woman. Traditionally, women are paid less in their chosen careers than men but even more importantly, if they have children, can have several breaks in their employment service due to taking time off work for child bearing and rearing. Because of this women have less superannuation saved and many may take on paid employment that accommodates the needs of their children. Usually this is part time work. If a divorce or death of a partner occurs, women no longer have the security of their partner’s income and often need to work longer hours to continue paying for the basic necessities for their family. How does a woman cope in this situation? For most, it’s a matter of just continuing to work hard and hope that you have enough money to pay the bills let alone think about investing for their future. Let me tell you about Susan and how she not only raised two children but also invested in property and built a property portfolio on a single income. When Susan’s fifteen year marriage ended, she found herself ill prepared for the financial impact. With two young children she returned to the workforce in a full time capacity just so that she could ‘survive’ financially. Susan was able to pay for all the necessities – food, accommodation, school needs and the running of the small family car. She also had a mortgage on the home that she built in the southern suburbs of Sydney. Money was tight and the thought of trying to invest from her income was completely out of the question. After five years of single parenthood and realizing that the white knight on the galant steed was not coming to rescue her, Susan made a decision to look at her financial position. Her employer’s contribution to superannuation was less than $30 000 and she had no savings. At that moment she visualized her life in the future as one of a poor existence and living on the pension. This vision spurred her into action. Some years beforehand, Susan’s parents had bought an investment property in the Sydney suburb of Baulkham Hills. They had paid down the debt on the property and now owned it outright. The rental income from their investment property provided them with an income in their retirement. Susan’s parents were middle income earners and managed their money well. As it turned out, their property investment example provided a good role model for Susan. After making the decision to look into buying an investment property, Susan was able to get approval for an investment loan even though her home had a mortgage. Her mortgage broker and accountant played a key role in her decision making as they were able to advise her on the correct way to set up or structure the loan and how much it would cost for her to hold her investment. 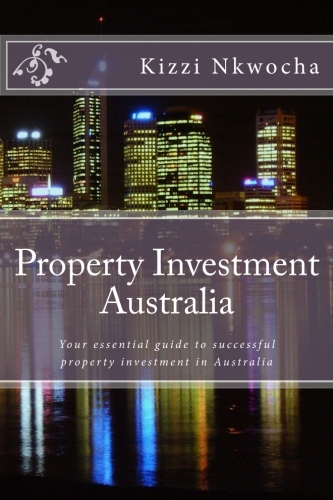 After undertaking research on different locations and finding a suitable investment property in Newcastle, Susan made her first property investment purchase in 2002. She paid $317 000 for a 4 bedroom, 2 bathroom, 2 car garage property, costing her just under $50.00 per week to hold. Buying her first investment property was such a positive experience, Susan purchased another property two years later in Western Australia. She bought a 4 bedroom, 2 bathroom, 1 car home and paid $365 000. Susan then continued building her property portfolio and bought properties in NSW and Queensland. Even though Susan was a middle income earner, she was able to continue building her property portfolio and now has six properties located around the country. She has many options for her future and her retirement is looking bright.